Trolley car on Third Street in Bayport. By 1852 the townsite proprietors Nelson, Loomis & Company had built a steam sawmill on the bay. Secrest and Perro platted an addition in 1854 that revolved around Secrest’s flour mill on Spring Creek. Several other sawmills were built in Bayport over the years including the Tozer mill, which operated continuously from 1878 through 1916. Andersen Windows is the successor to these early lumbering firms. Established in Hudson in 1897 as the Andersen Lumber Company, the firm moved to South Stillwater in 1913, where it grew to be one of the most successful businesses in the St. Croix Valley. 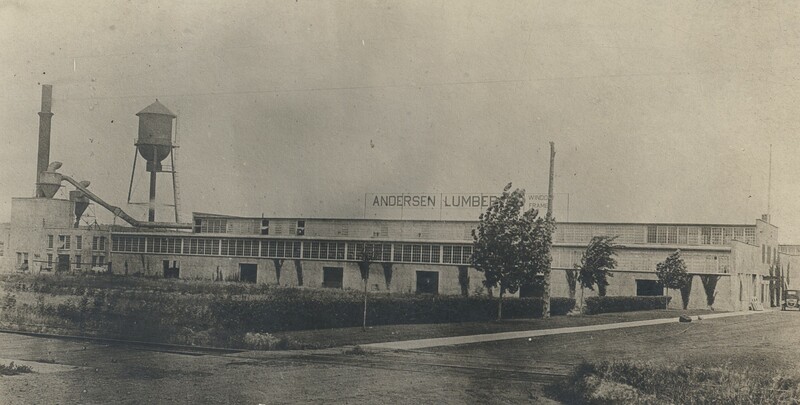 Andersen Lumber Company became Andersen Windows. The Company continues to be the largest employer in the community. Other businesses that furnished employment for the people of Bayport have been a threshing machine company, furniture and box manufacturers, a brass foundry, several printing houses, and even a soap factory. In 1903 the St. Croix Lake Ice Company began cutting lake ice to store in icehouses for summer use. By the 1930s the Bayport Ice Company was shipping as many as 2,208 rail cars of ice a year to South St. Paul and La Crosse packing houses. Boat building and repair have long been associated with Bayport. Well-known steamboats built at the Bayport Boat Yard were the rafters Pauline, R. J. Wheeler, Ten Broeck, and Kit Carson. The boatyard, located just south of the Andersen Corporation, was used for repairs and barge construction up through the Second World War. The first electric street car in the northwest (so said the company) began operating from Stillwater to Bayport in July 1889. 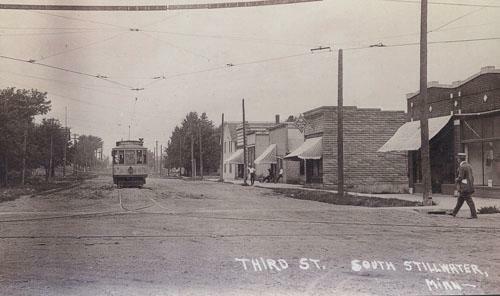 The line only lasted through 1892, but in 1905 streetcar lines were again extended to Bayport from Stillwater, connecting valley residents to St. Paul via Mahtomedi until 1932. Until the Hudson bridge was built in 1913, a ferry boat plied the St. Croix between Bayport and North Hudson. Rail came into Bayport from Stillwater in 1872. Stillwater Junction in Baytown was where the rail lines diverged for St. Paul and Stillwater. The track became part of the Chicago & Northwestern lines, which ran four or five passenger trains a day to Hudson and Stillwater. Three railroads carried freight and passengers through Bayport, undoubtedly a reason so much manufacturing located in the village. Bayport became a city in 1974. While other parts of the county have been growing exponentially, Bayport’s population in 2010 was 3,471.